Even Shawn "Jay-Z" Carter was sold on the talent of one of his latest Roc Nation Sports recruits, Skylar Diggins, without long debate. As a four-year starter for Indiana’s Washington High School Panthers, Diggins steered her squad to multiple championship games, as well as a 2007 title-winning run, while becoming the third-highest girls scorer in Indiana (with 2,790 points under her belt) and a McDonald’s All-American all before receiving her diploma. With such an impressive high-school run, turn down for what? The 59 guard nicknamed "Sky"--possibly because she has no limits--then took her talents to Notre Dame’s Fighting Irish. Her court game was so amazing that she ended her college career with an average of 16.8 points, 5.7 assists, and 2.6 steals per game with 102 steals (now a single-season record for Notre Dame) for good measure. Diggins’ hard work and "who gon’ stop me" attitude was rewarded with a multitude of honors and award nominations, including being selected to the AP All-American First Team and inclusion overseas on the USA Under-18 National Team. 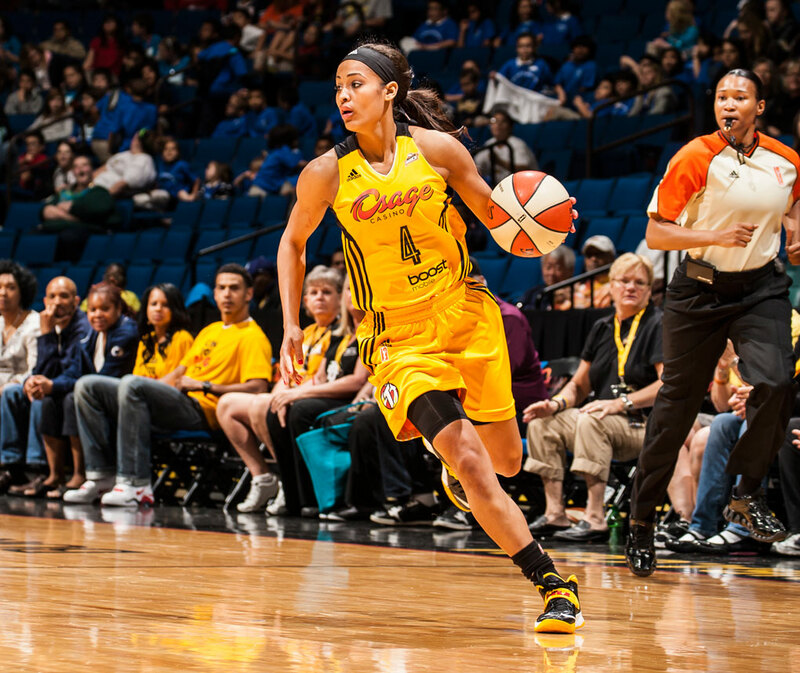 To say that Skylar Diggins is an all-around basketball champ is an understatement. Not only was she recently drafted third overall by the WNBA’s Tulsa Shock, but she’s already established her rock solid game in the revamped league. With all she has going on for her, it’s no wonder Lil Wayne is crushing on her via Twitter. At 22, it seems she’s out to prove that she Will. Not. Lose.